Robert PEASE – The Former (1630 – 1717) was Alex’s 10th Great Grandfather; one of 2,048 in this generation of the Miner line. Robert Pease – The Former was christened in Apr 1630 in Great Baddow, Essex, England. His parents were Robert PEASE and Lydia WEST. In 1634, at the age of 4, he traveled to Salem with his father Robert and his Uncle John. His father came to New England in the ship Francis, John CUTTING [our ancestor], master, sailing from Ipswich, England the last of Apr 1634. The ship landed at Boston, MA without the loss of a single passenger. In addition to his Robert, the father Robert was accompanied by his brother John, a Miss Clark, aged fifteen, who was the daughter of a fellow passenger, and a Miss Greene, aged fifteen, perhaps a servant. His wife Marie and other family members including Robert’s brother John probably came on a later ship. Robert married Sarah [SEDGWICK?] before 1660. He died after 1717. Sarah [Sedgwick?] was born about 1630, perhaps in Salem, Mass. Her parents were probably not Major General Robert Sedgwick and Joanna Blake because Robert’s daughter Sarah married Governor John Leverettt about 1644 in Charlestown, Suffolk, Mass Some sources state her parents were Richard Goodale and Catherine Killim, but their Sarah married someone else. Sarah was living in 1704. Major General Robert Sedgwick (c. 1611 – 1656) settled at Charlestown, Massachusetts Bay Colony, in 1635, where he became a successful merchant and for many years represented the town in the General Court. He was active in organizing the Ancient and Honorable Artillery Company, of which he became captain in 1640. In 1652 he was appointed commander of all the Massachusetts militia. He built Castle William, the first fort at Boston, and Oliver Cromwell promoted him to major general, making him the first Major General of the Massachusetts Bay Colony. With John Winthrop, Jr. and others, he established in 1643-1644 the first ironworks in North America. 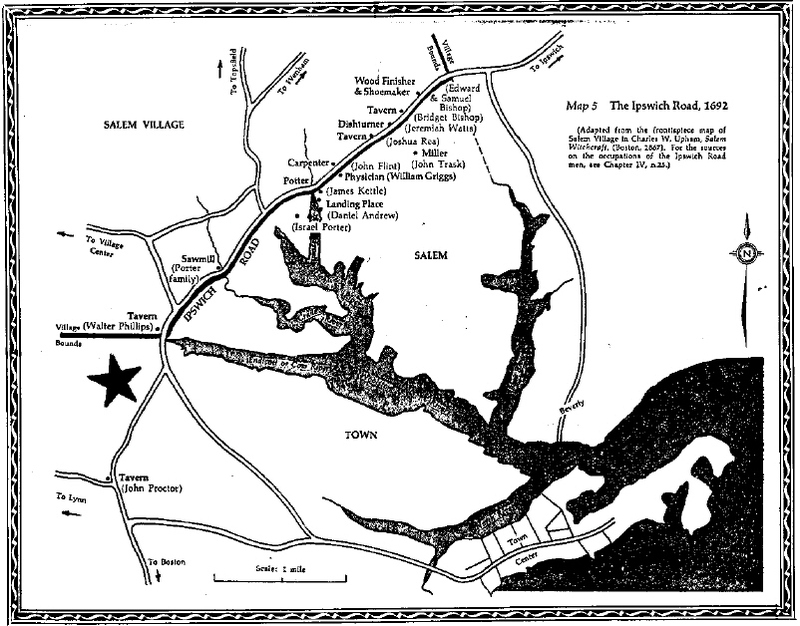 Under authority from Cromwell, in July 1654 Sedgwick raided Acadia by conquering the French at Fort Pentagouet, Maine; Fort La Tour at the mouth of the St. John River; and Port Royal. In 1655 he accompanied the expedition which captured Jamaica. Just before his death there, Cromwell gave him sole command as the first Governor General of Jamaica. He died on May 24, 1656, and was buried halfway up the canyon to Spanish Town from Ocho Rios in a small Christopher Wren-styled chapel. Sedgwick, Maine, was named in his honor. 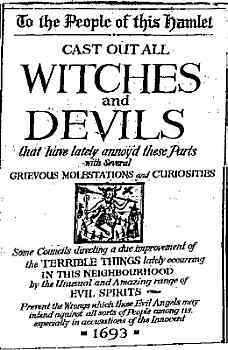 Both Robert and his wife Sarah suffered imprisonment in 1692 when they were suspected of witchcraft. Great Baddow Parish Register: Robert the sonne of Robert Pease and his wife Bap. April 1630 Robert was a minor when his father died in 1644 at the age of 37. By order of the court he was to remain with his mother for a year after which he could apply for permission to learn a trade. 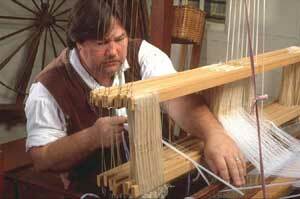 At the age of 15 was apprenticed to Thomas Root of Salem for a term of five years. When his term expired in 1650 he remained in Salem, records of 1652 and 1655 show he was an inhabitant of that town. 1655 – “He was employed to keep one hundred cows, being part of the town drove, and to have help so that he may attend worship every third Sabbath. 1656 – He appears in Edgartown, Martha’s Vineyard, Mass. where his uncle had taken up residence in 1644. He evidently returned to Salem before 1660 (Banks), where he appears in 1667 with the birth of the first of his five children. He was with the Salem Company during King Philips War of 1675/76. Both he and his wife suffered imprisonment in 1692 when they were suspected of witchcraft. His wife was living in 1704 and he was living in 1713 when he was dismissed from the church in Salem to aid in forming the first church at what is now Peabody, MA. Robert’s wife Sarah was caught up in 1692 in the hysteria we know as The Salem Witch Trials. She was accused and imprisoned but never tried, having been released after the hysteria died down. Although testimony was brought against her again on August 5th, Sarah Pease escaped the condemnation of the judges, who sentenced 15 people to the gallows in September. By the late fall of that year the tide of hysteria had abated, and sympathy was turning from the “victims” to the accused. Sarah survived the winter and was released in May of 1693, after suffering a year in jail. On the same day a warrant for arrest was issued. George Herrick, Marshall of Essex, appointed John Putnam to be his deputy to serve this warrant. A separate arrest warrant was made out the same day for Sarah Pease for acts of witchcraft against Mary Warren. 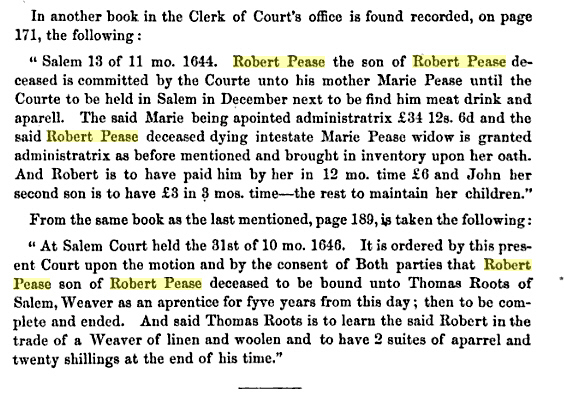 Information about Robert Pease’s children is scattered; no one source has information about all the sons and daughters in law. I wonder if that’s related to the early death of Robert’s parents or his apprenticeship at the age of 15. Maybe it’s related the persecution of Robert and his wife Sarah during the witch trials. I can find no birth, parents or death for Thomas Venney, though I did find this list of children. If Elizabeth’s 1662 birth is correct, she would have been too old to be these children’s mother (age 45 thru 57 at their births). Deliverance’s husband Jonathan Crisp was born29 Jan 1639/40 in Watertown, Mass,. His parents were Benjamin CRISPE and Bridget [__?__]. He first married Joanna [_?_] in 1663 in Watertown. Jonathan died before 25 Oct 1680 in Watertown when his father administered his estate. Mary’s husband Alexander Electious Reynolds was born in 1653 in Middleboro, MA. Alexander died on 19 Jun 1738 in Middleboro, MA. There was a doubt whether Alexander Electious married this Mary or her first cousin Mary Pease, daughter of John PEASE born 5 Apr 1667, but this analysis “The Three Mary Peases of Salem, Massachusetts” by Ian Watson proves that Alexander Electious married this Mary. Electious Reynolds was an early resident of Middleborough in the Massachusetts Bay Colony, being there by 1693 as evidenced by the birth of his son Benjamin. 12 Oct 1725 – The church in Middleborough was formed. Electious Reynolds and Richard Waste were among the first members. 24 Mar 1682/83 – He gave testimony as Alexius Reinolds, age 25. [10:9/55] This man married in Salem (as Allexander Renalds) to Mary Pease on 16 July 1686. Both of these records originated in the Essex County Quarterly Court Records. The couple appears to have had a son James born in nearby Manchester, MA 15 Jan 1687, the father being one Eleksha Renals. There was a Henry Renalls in Salem by 1642 who was the right age to be Electious’ father, especially given that he was the only other Reynolds in town for some time. However it seems like he and his wife Sarah were childless. Another possibility for his parents, if Electious was from the Plymouth area, would be William Reynolds who was a resident of Plymouth by the 1630’s. He married there Aug. 30, 1638 Alice Kitson. He was in Duxbury in February 1636 and had a grant of land there. Soon after, the government allowed him to build. In 1637/38 William was presented in court for being “drunk at Mr. Hopkins his house, that he lay under the table vomiting in a beastly manner and was taken up between two”. He was one of John Howland’s crew on shipboard in the Kennebeck River which was attacked and two of the crew were killed after a dispute with contending traders. He is probably the William Reynolds whose children had land laid out to them in Saconett after his decease. If Electious can be shown to have had land in this area, it would be grounds for connecting him with William. An Ellexander Reynolds appears on a 1734 list of grantees of Narragansett Township No. 4, which later became Greenwich, MA. This town no longer exists, having been flooded as part of the Quabbin Resevoir project. He was listed as living in Middleboro at the time (1734) and received the grant for services during King Phillip’s War. Since no one of this name can be found in town at any time and Bodge had difficulty reading the record, it would thus seem likely that the actual name of the grantee was Electious Reynolds. This grant was for land promised in 1676 to the soldiers assembled on Dedham Plain as they prepared to attack King Phillip’s fort. If they took the fort, they were promised land in addition to their wages. Isaac’s wife Elizabeth Thomas was born May 1675 in Salem, Essex, Mass. Her parents were George Thomas (1650 – 1710) and Mary Graves (1648 – ). Elizabeth died in 1745 in Peabody, Essex, Mass. Nathaniel’s wife Elizabeth Ashley was born about 1677 in of Salem, Essex, Massachusetts. This entry was posted in 12th Generation, Immigrant - England, Line - Miner, Missing Parents, Veteran, Witch Trials and tagged Apprentice, Salem, The Francis 1634, Weaver. Bookmark the permalink.